Happy Memorial Day weekend! It sure is a gorgeous start to summer in Boston: warm, sunny — and really, really dry. The National Weather Service warned of an “elevated fire weather risk” extending through Sunday because of the extremely dry conditions we’ve been having. 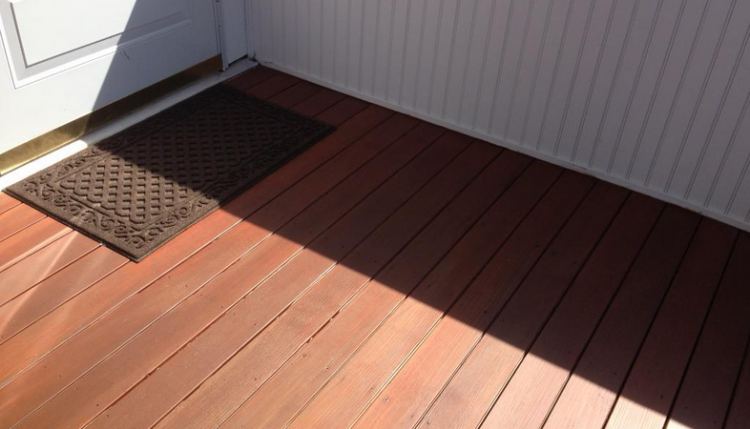 After the winter we had, your wood porch or deck is probably in rough shape. Before you get too far into summer to turn back, clear off the patio furniture, sweep and clean the boards, and apply a fresh coat of stain or paint. While you’re at it, paint any exterior trim you’ve been meaning to get to, or an old bookcase or dresser — whatever project you’ve been waiting for. It’ll dry so quickly in this weather you can do a couple of coats nearly back to back. Likewise, if you use Round Up’s poison ivy spray or other weedkiller, you need to spray it when rain isn’t expected for a day or two, for much the same reasons. It’s the official start of summer, so once you’re done with your to-do list, fire up the grill, kick back with a cold beer, and enjoy the beautiful weather. You’ve earned it! Should you buy a house, condo, or multi-family?